If you're interested in smaller living, but not so handy yourself, turn to Ozark Tiny House Outlet. 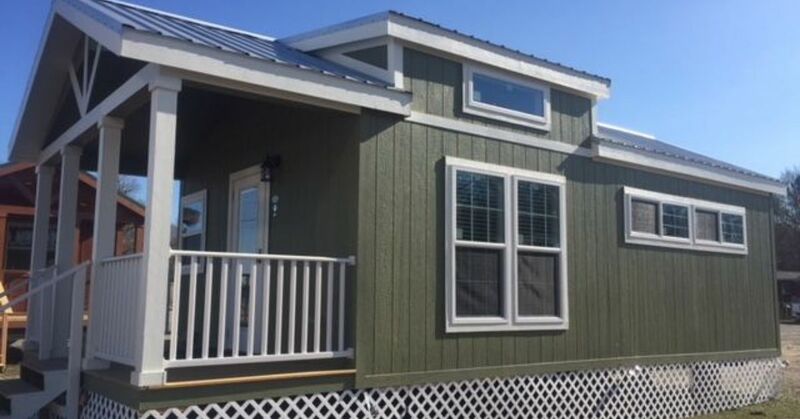 The company is a tiny house/park model dealer in Arkansas – a one-stop-shop for downsized living. 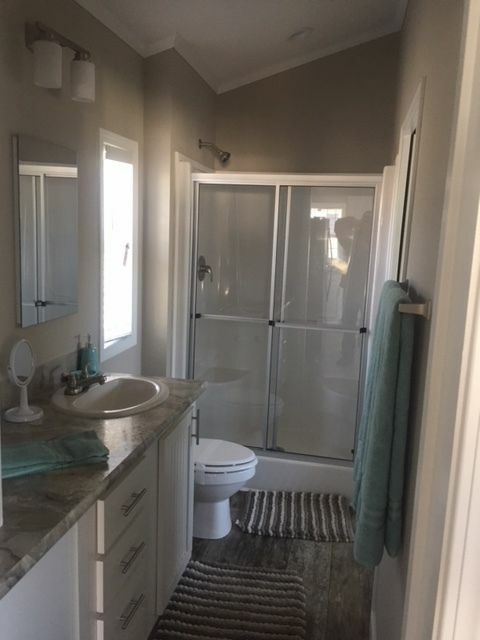 The company offers ready-to-move-in custom park models as well as one to three-bedroom single homes and modulars for in-city limit lots. An array of styles spans rustic to contemporary, farmhouse, cottage and log-sided. 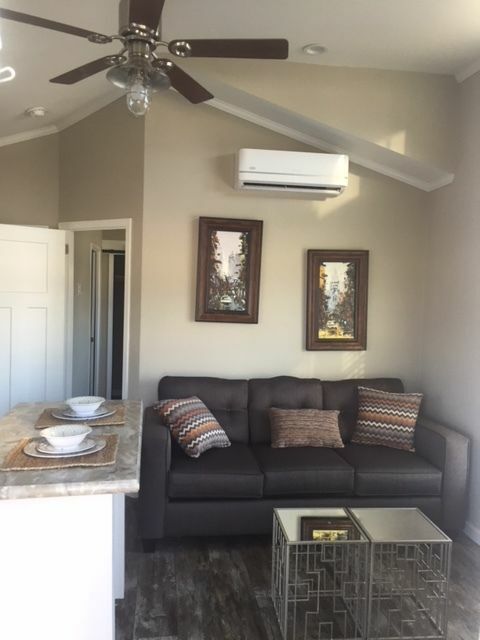 All models are standard with one or two bedrooms on the main level, as well as an option to add a loft. 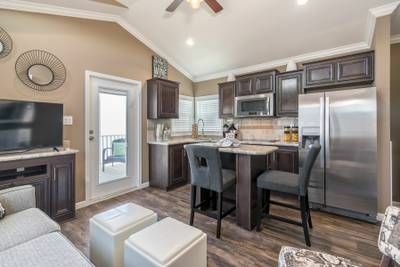 This Ozark park model is a single-story design that offers all of life's necessities in fewer than 400 square feet. Inside, you won't believe this sleek home is actually an RV. 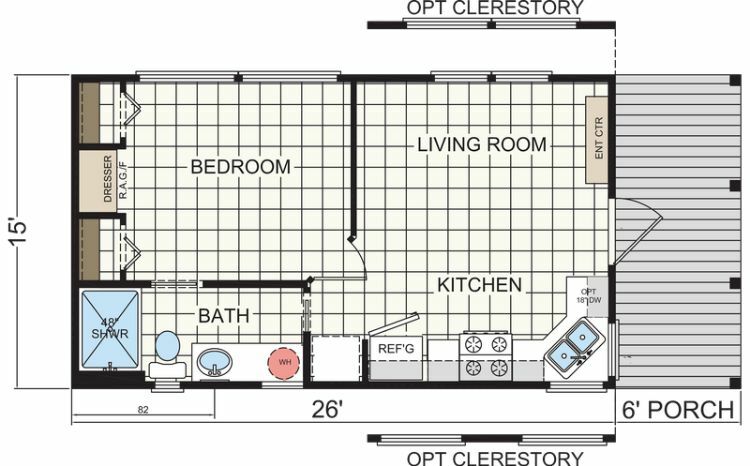 The floor plan is complete with one private bedroom as well as a full bath, living room and kitchen space. 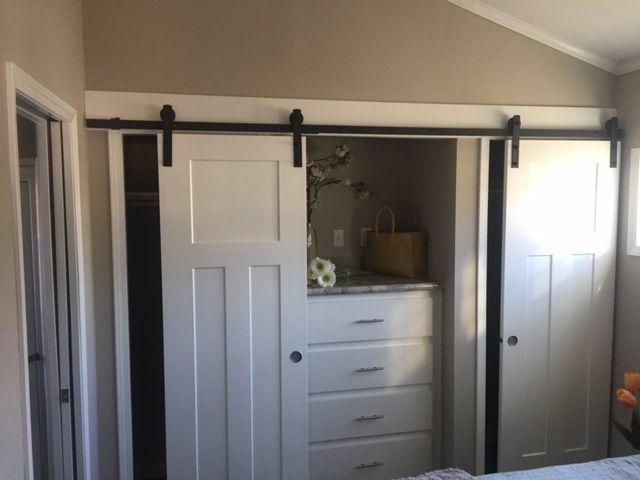 In the bedroom, roomy closets offer ample storage hidden by sleek barn-track sliding doors. 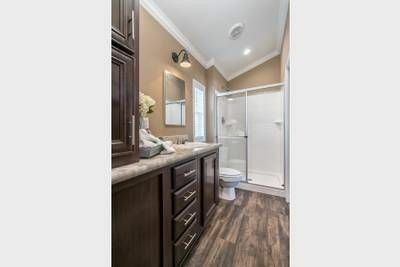 The bathroom features a standing shower and roomy vanity with a basin sink and sleek stone countertop. 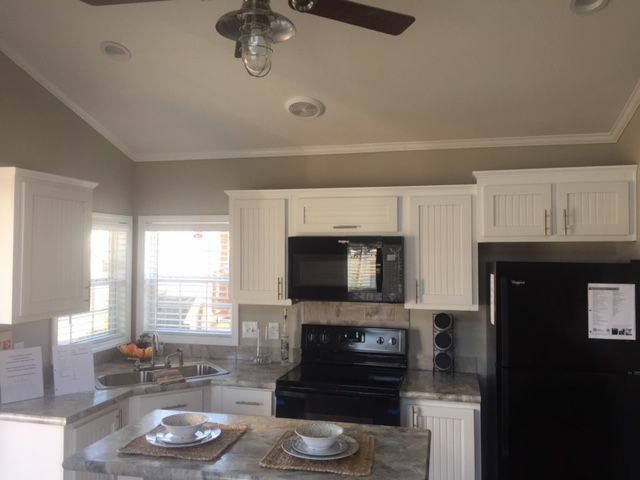 Gray ash flooring complements the white cabinets, fixtures and walls. The spacious kitchen feels at home in a grand farmhouse but is efficient in the small layout. White cabinetry pairs beautifully with gray stone countertops and an eat-in island breakfast nook. The living space is small but mighty, housing a full sofa and TV area. If an all-white design isn't your aesthetic, dark espresso cabinets offer a chic alternative. Sleek chrome pulls offer a striking contrast. 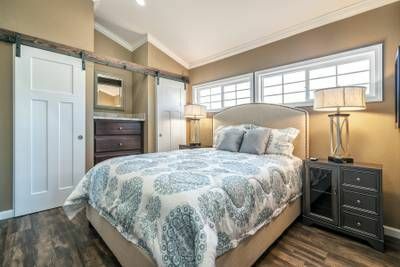 Sliding barn doors bring a rustic farmhouse feel to this master bedroom, which is roomy enough to accommodate a queen bed. Built-in space for a dresser keeps the floor open. Espresso cabinets completely transform this kitchen as well, which features a large double refrigerator/freezer, eat-in island and lots of overhead storage. 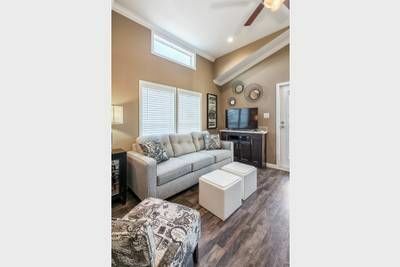 Across the way, the living area offers room for sofas, twin ottomans and a large TV area. An overhead fan provides efficient airflow throughout the year, and high ceilings create an illusion of a larger space.